Why this wedding photo went viral | HELLO! June 22, 2016 - 14:54 BST hellomagazine.com Au naturel! 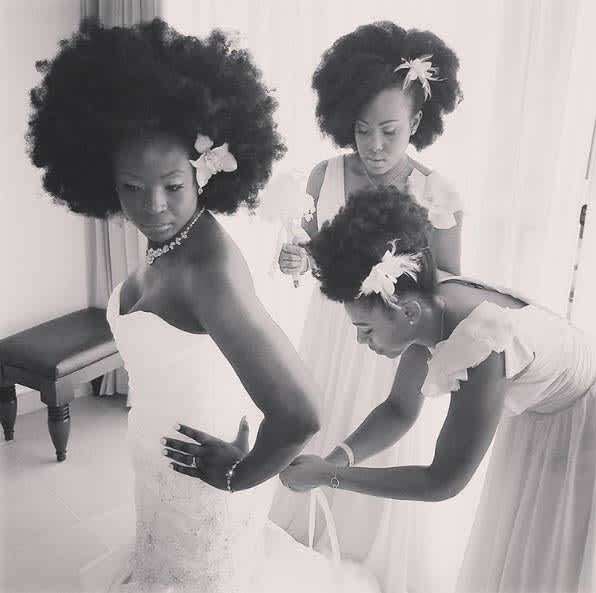 When Nakyia Whitty posted this snap from her wedding day to Instagram, she probably had no idea that within days it would be making its way around the world. 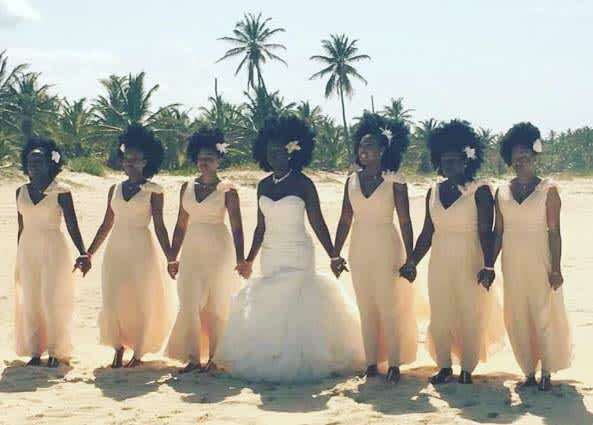 The internet has fallen in love with the pic, due to Nakyia and her bridesmaids' gorgeous, natural hair. 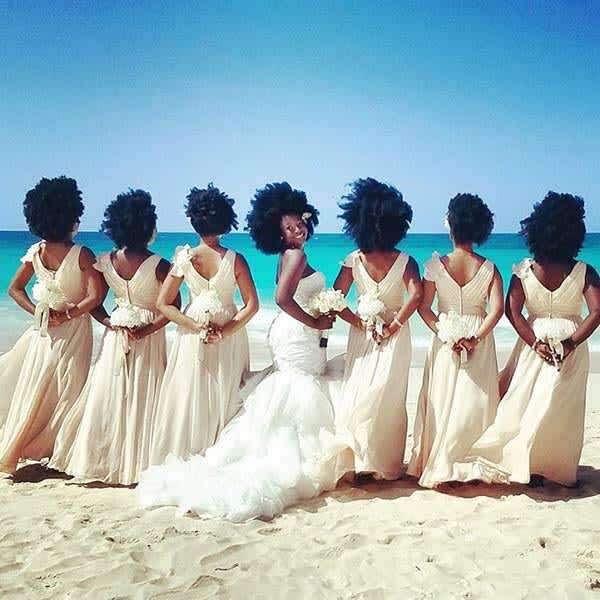 The young woman, whose wedding took place in Punta Cana, Dominican Republic, began her natural hair journey four years ago and revealed it had been her dream for years to have her wedding party flaunt their natural style. "Wearing my natural hair signifies who I am as a black woman, who God created me to be," she told Buzzfeed. "I love my natural tresses. I wasn't always natural, but when I started this journey I began to appreciate and love what I was born with." Her husband, then-fiancée, actually helped Naykia create her look, watching YouTube tutorials and doing research. "We learned my hair together," she said. "Blessed to have that type of support. I don't know how many YouTube tutorials a man can take, exactly, but he definitely exceeded maximum capacity." Nakyia had no idea her picture would be picked up globally, and she said she was "beyond honoured and humbled to have been seen, appreciated, and loved by so many."